The organised labour on Friday said it has started mobilisation of members ahead of the January 8 strike over payment of the agreed N30 , 000 New Minimum Wage . A News Agency of Nigeria correspondent who visited some of the labour unions in Lagos gathered that workers had been informed on the strategic roles to play while awaiting further instructions. 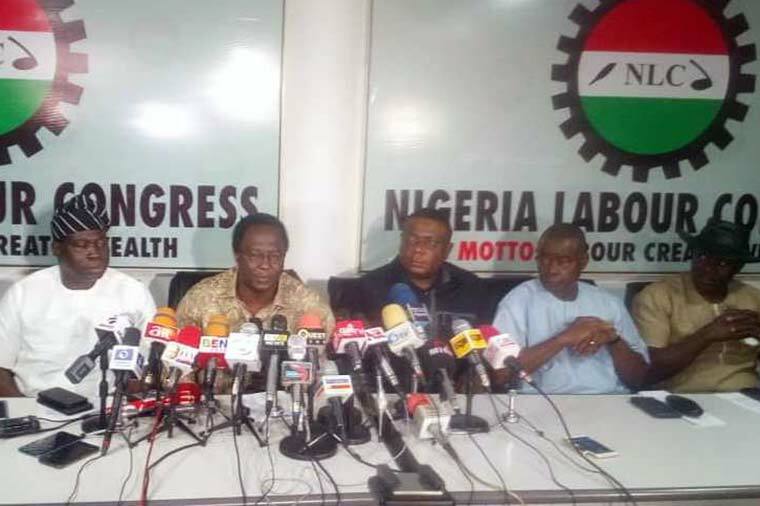 NAN reports that the three labour bodies , the Nigeria Labour Congress , Trade Union Congress of Nigeria and the United Labour Congress had met on December 20 , 2018. The organised labour had given the Federal Government on or before December 31 , 2018 to submit the Tripartite Committee Report on the N30 , 000 minimum wage to the National Assembly or face strike. NAN reports that labour suspended its national strike on the minimum wage about two months ago to enable the government to take a decisive action on it.